Cooperative neighbor enjoyment – A Riverwest Co-op Café Vegan Prefix Meal with Sprecher Beer Pairings hosted by the Riverwest Public House – Thursday, May 15th, 2014 at 6pm. The Riverwest Co-op Café and the Riverwest Public House with Sprecher brewery will be presenting a vegan beer dinner on Thursday, May 15th. We are embracing the change of season with the course selections and the pairings, each featuring locally sourced, artisanal ingredients whenever possible. The inspiration for the event lies in a great working relationship between these local businesses, building communities together. The Riverwest Co-op Café is creating a four course dinner and each course will be paired with a Sprecher beer. The Public house will be creating a few special craft cocktails for the evening. We will provide a brief introduction to each course, giving suggested notes of interest, the history, and interplay of the pairings. The cocktail hour, beginning at 6pm, will feature a variety of beer cocktails and selected craft soda* cocktails that will be available for purchase. In the spirit of community and cooperation, we are also proudly pouring Great Lakes Distillery spirits in the cocktails. Look for some interesting creations and twists on classic cocktails. We are keeping the menu a secret until the day of. The introduction and our dinner will begin at7pm. We will start off with the Hefe Weiss, a course filter German wheat ale, perfect for warmer weather and pairing with lighter fare to begin. The All-American Pale Ale is second and has been dry hopped with fresh whole cone Simcoe and Citra hops; this beer was available in only draft. Up next is the Black Bavarian, which has always been a Riverwest Public House favorite. We will close out with the Czar brew 2013, a bourbon barrel aged Russian Imperial Stout, and it will be paired with a sweeter dish. Several other styles of beers will be available for tasting as well. Tickets are available at the Public House and are $20 if purchased in advance. 25 seats are available at this event. We Turn 3 Years Old on Monday! Thank you for being a member of the Public House! We appreciate your support, and hope that you have enjoyed the many benefits of membership in the Public House over the past three years. Your support as a member and patron has been invaluable as we work toward establishing the Public House as a thriving community space. As our three-year anniversary is rapidly approaching, this is a reminder that if you joined as an annual member anytime between our Grand Opening in 2011 and now, the time has likely come to renew your annual membership. Don’t let your membership expire – and your member discounts along with it! As you know, members enjoy a variety of discounts anytime we are open, including a dollar off most taps, $3 rail drinks, $1 off of wine, $1 off of Great Lakes Distillery products, and $1 off coffee and tea. You can renew at any time, so beat the rush and renew today! Or become a lifetime member, and you will never need to remember to renew again. Please join us for our Anniversary Party on March 17. The Squeezettes will be playing and all sorts of other strange things are likely to happen…this is a party not to be missed! Remember when we started the bar? When you became a member before the doors were even open? Before we even had a space! 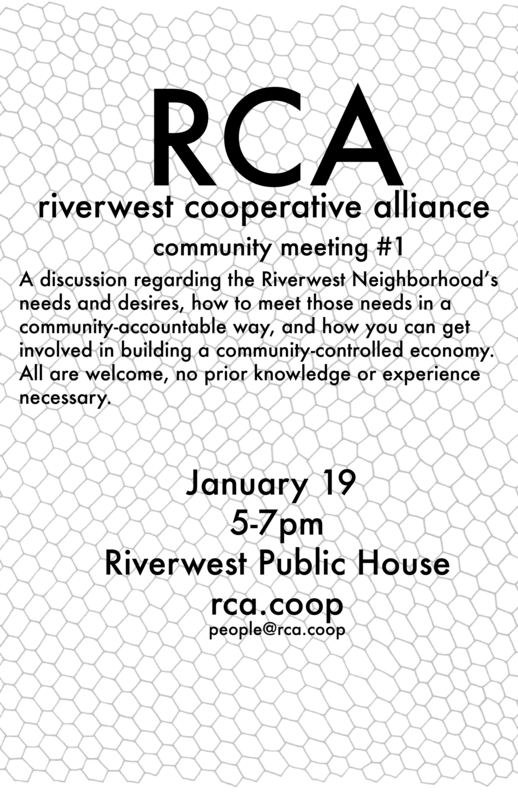 We proclaimed “we’re going to start this bar so it can help operate an umbrella organization to strengthen and grow the cooperative movement in Riverwest.” Well, that organization, the Riverwest Cooperative Alliance has been in development for a looong time. But now it’s finally ready to roll out some ideas and get community involvement. That means you! We’ve come up with a model that is community-accountable and community-guided to meet community needs. Join us THIS SUNDAY from 5-7pm for the first of many many many community meetings. Together we can build a community-controlled economy. On the Full Moon December 28th, 2012 a Barbie Doll was dipped in paint. Every day after that, she was dipped again. Each subsequent Full Moon another Barbie joined in the transformation process until December 17th, 2013- The 13th Full Moon when the 13 Barbie joined the others. Bring a dish of Mac & Cheese and enter in the competition! Your most delicious, your most daring, your most avant-garde, your Mac & Cheese with the Most Odd Ingredient!, an appetizer, main course, soup, dessert. Each entrant gets to pick the category which best suits their Mac & Cheese! Be creative! 10 entrants… = 10 categories….. = 10 prizes! Suggested $5 donation per entry. Everyone who enters gets to be one of the judges. Enter to be a Judge with out making Mac & Cheese! Suggested $5 to be a Judge! General Potluck at 6:45pm. $5 suggested donation. Lots of prizes!!! Every dish will be documented and if you like will be included in a Zine to be published at the end of the year!!! Limited space is available, so grab your tickets soon! Advance tickets on sale till Dec 27th. Part One of the Series, “In Homelessess you can find all of the Ills of Society,” will be a discussion surrounding the problem of homelessness in Milwaukee and will feature speakers from various backgrounds who are currently struggling or have struggled with homelessness. The conversation will also include the most updated information surrounding the Step by Step Collective’s current Drop-In Center Initiative and how we as a community can address these issues collectively and holistically. The Step By Step Collective is a group of community members focused on bringing awareness to trans and cis women’s issues in Milwaukee. The current Community Housing Inititative aims to reclaim a vacant, public space and to transform it into a drop-in center for single trans/cis women and families struggling with homelessness. We are focused on creating community-driven, sustainable homeless solutions in the city of Milwaukee while simultaneously addressing the root causes of the issue on a political and cultural level. MKE<->LAX present a conversation between Linda Pollack and Sara Daleiden, who both have practices based in Los Angeles that focus on the arts, the economy and cultural exchange. Linda and Sara will explore national tendencies with placemaking through major funders such as ArtPlace America’s Innovation Grants and the National Endowment for the Arts (NEA)’s Our Town Grants. Linda will share a Midwestern iteration of her project My Daily Constitution generated in Indianapolis as a case study of placemaking in extension of a public art dialogue. With My Daily Constitution, Linda generates an expressive public platform for conversation about democracy, where an active interpretation of the U.S. Constitution connects to the values of a local place. Linda Pollack is the creator of My Daily Constitution which was initiated for the “Democracy When?” exhibition at the Los Angeles Contemporary Exhibitions in 2002. 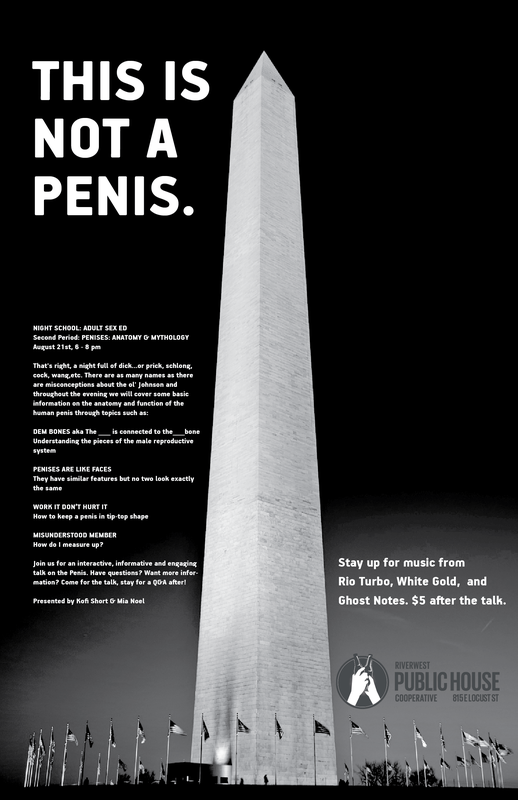 The project came as a response to the political and cultural climate in the United States after the initial shock of 9/11 and the passage of the USA Patriot Act. Continuing her investigation into the culture of democracy, Linda brings together innovators, the People, and the U.S. Constitution into public conversations to explore the U.S. Constitution as a living document that affects our daily lives. Sara Daleiden is the director of MKE<->LAX which investigates cultural exchange between two American regions, with Milwaukee and Los Angeles as epicenters, through residencies and public programs focused on the arts in both places. MKE<->LAX creates conditions for social interactions in developing landscapes with an emphasis on regional poetics and expansion of market. She currently works as a consultant for the placemaking initiative ‘Creational Trails funded by ArtPlace America. ‘Creational Trails has an open Call for Performance Ideas available to residents of Harambee, Riverwest and nearby neighborhoods. This Tuesday and every Tuesday at Riverwest Public House Cooperative The Cream City Cabaret and House of Dimera have a new weekly variety show! *how this works: show up before 9 with a device to play your song and sign up! 11-12pm Dj Rocka will spin tunes to make your booty move. $5 cover. Come on down and support Milwaukee’s thriving performance scene, see a great show, and get buck wild. We had a good turnout for the first info session, held on October 27th. Johnnie Williams gave us a nonpartisan overview of how the Affordable Care Act (Obamacare) would impact us, and what we could expect from the new Common Ground Healthcare Cooperative, which serves a big chunk of eastern Wisconsin. If you missed it, or know someone who could use the info, come learn more on Nov 11 and Dec 12. “Common Ground Healthcare Cooperative is a non-profit, member-governed health insurance cooperative that believes in transparency. Any profit we make goes directly back toward lowering premiums and improving benefits — for you, your employees, or your customers. Common Ground is a community organization that works toward igniting positive change within the greater Milwaukee area. With the power of the collective voice, we have a strong history of facilitating significant and meaningful improvements within our community. Our most ambitious effort to date: create a health insurance cooperative that puts people before profits and gives its members a voice — just like Common Ground. Five years and thousands of hours of hard work later, we are very pleased to announce the opening of the Common Ground Healthcare Cooperative. Enrollment started October 1, 2013 Common Ground Healthcare Cooperative will begin enrollment in 19 counties in Eastern Wisconsin, with insurance effective on January 1, 2014.